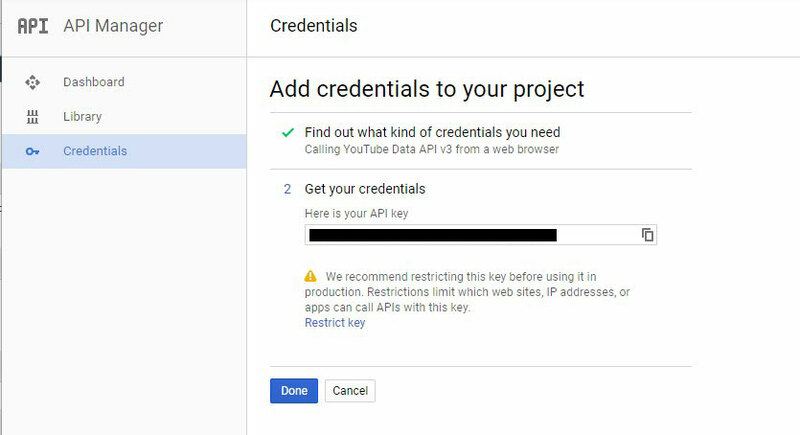 YouTube now requires you to have a project and an API inside Google developers, for retrieving videos or video information outside of the YouTube website. So now you basically have to register a project. It does not matter what the project is called, you just have to have a project name. 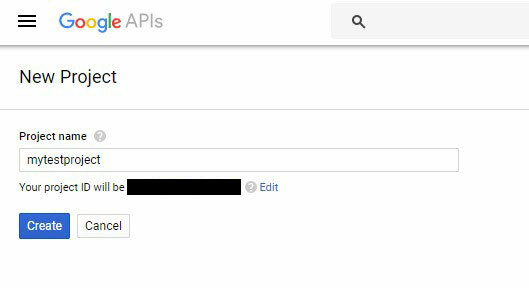 So that your API access credentials can be assigned to that project, and you are able to use your new API key. Fortunately the process is quick and simple. You will need to login with your Google account. If you do not have a Google account, or you prefer to create a new one for this purpose, then you will need to create the account now. 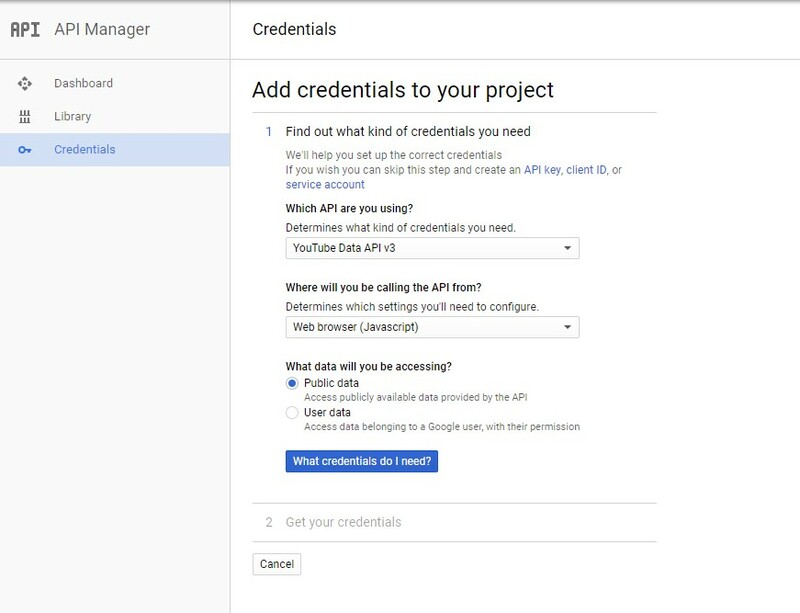 After you have logged in, you will need to go to the Google API console. 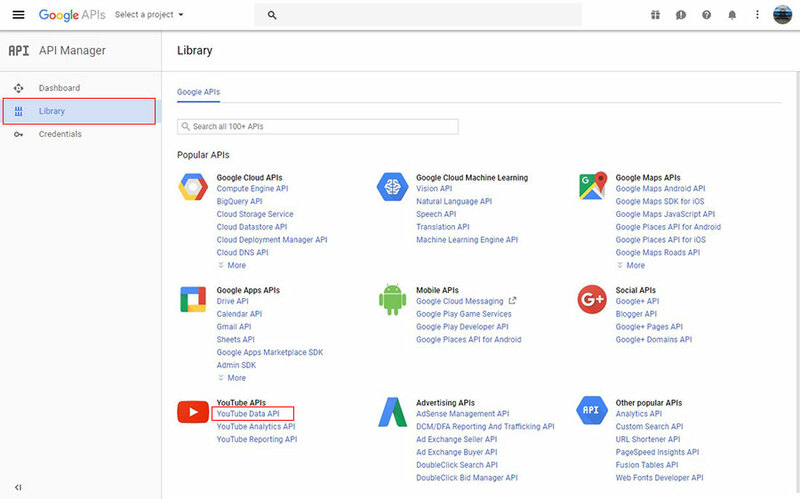 Make sure Library is selected on the left side menu, and click on the link that says YouTube Data Api. You will probably be told that you need a project to use the APIs, and that you don’t have any projects. You will want to click on that blue button that says CREATE PROJECT. Now for whatever reason, at the time I was doing this, when you click on Create Project you basically get a notification that is somewhat like an error. You will see it on the next image below, and if you see it, just click create again. Make sure you click ENABLE at top where you see the triangle pointing right with the word ENABLE. Once you do that, you will see a screen show up that looks like the one below, and stating: To use this API, you may need credentials. Click “Create credentials” to get started. So go ahead and click Create Credentials. You will then be asked what kind of credentials you need. Just select what you see in the below image. Then click the button. For some reason the button still says “What credentials do I need?” just click it anyway. After you click that you will be presented with your credentials. The above picture, and the below picture, the API key is blacked out obviously. But once you click Done, you should be good to go. 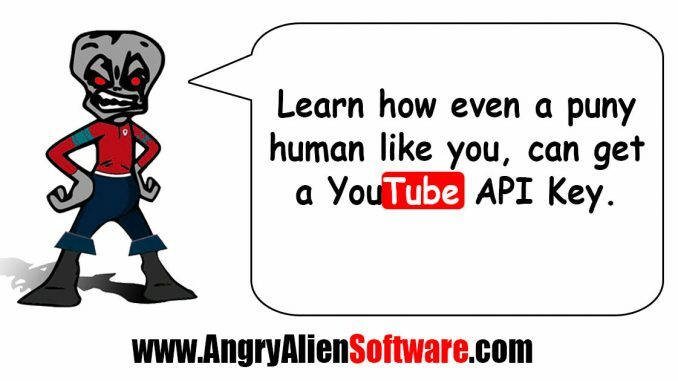 You now have your YouTube API Key.